We can’t wait for our Friendship Express train to be installed. 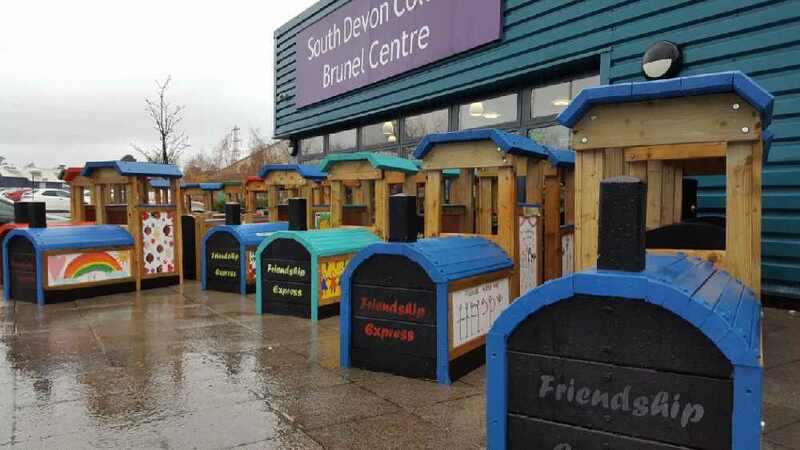 The trains were built thanks to the hard work and dedication of the multi-skilled Construction Level 1 and 2 students at South Devon College, whilst our children designed and painted the panels for the train. The aim of the friendship bench is to enable children who are lonely or upset to be recognised (by sitting on the bench) and a playground friend will come and talk to them or play with them.